Continues to offer a highly versatile solution for docking to multiple peripherals at once, now for PC as well as Mac. 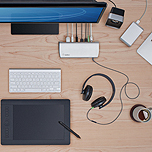 PLAYA VISTA, CA – September 30, 2014 – Belkin® today introduced the Thunderbolt™ 2 Express Dock HD with cable, a powerful docking solution for both Mac and PC computers. Equipped with two Thunderbolt 2 ports, it allows users to take full advantage of Thunderbolt 2 technology’s high-speed 20Gbps bandwidth, and provides reliable transfers between laptops and up to eight other devices using one single Thunderbolt cable. 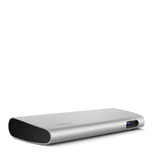 Designed for PC and Mac ultrabook, laptop and desktop users, the Belkin Thunderbolt 2 Express Dock HD helps increase productivity, portability and connectivity. 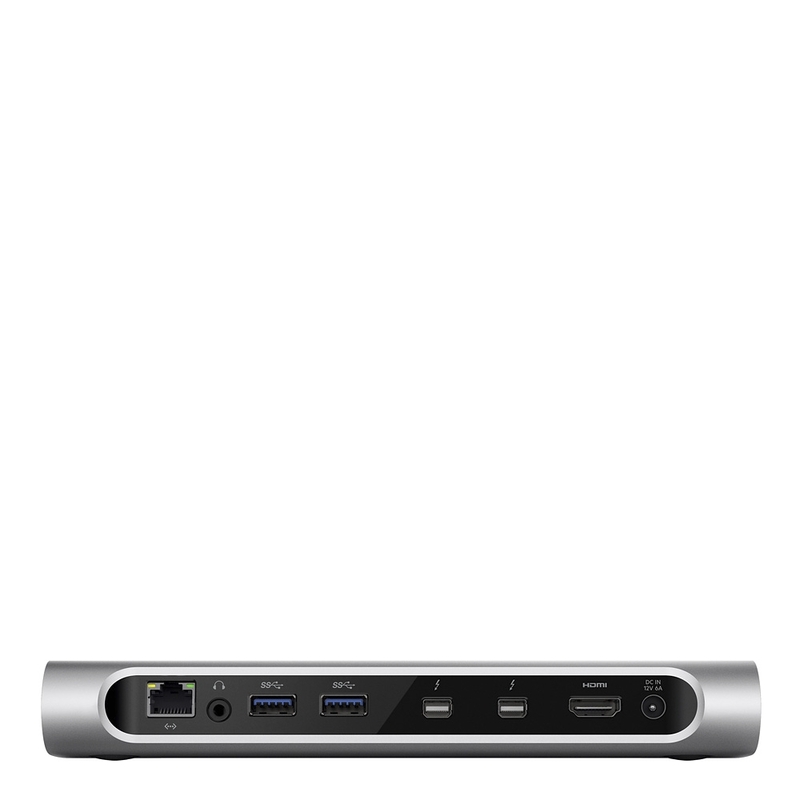 With eight ports including support for HDMI®, USB 3.0, Gigabit Ethernet, audio and Thunderbolt 2, the Thunderbolt 2 Express Dock HD supports up to eight devices connected directly to the dock, with support for up to four additional (five total) Thunderbolt devices through a daisy-chain setup. Display the clearest picture through either the HDMI or Thunderbolt 2 port at a resolution of up to 4K. The USB 3.0 ports open the ability to charge smartphones, tablets and other higher amperage devices, even when the host computer is asleep or not connected to the dock. It also offers Thunderbolt 2 data transfer speeds of up to 20Gbps, which is two times faster than Thunderbolt, four times faster than USB 3.0 and up to 25 times faster than FireWire® 800. 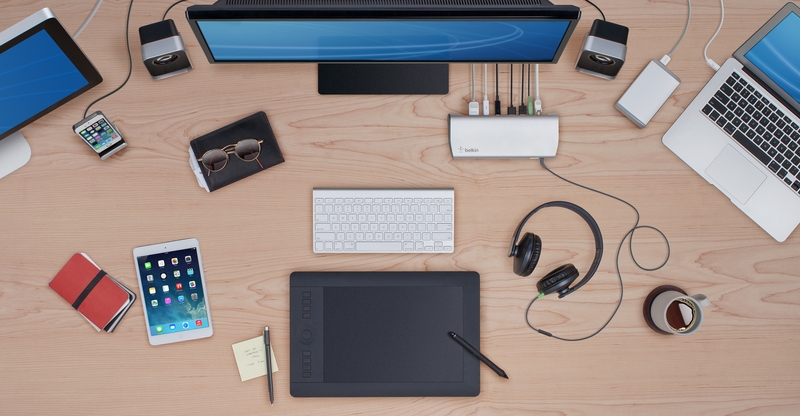 "Belkin's Thunderbolt 2 Express Dock HD is an all-in-one solution that fully takes advantage of the Thunderbolt technology and creates endless possibilities for your setup," said Melody Tescon, director of product management at Belkin. "Not only does it offer exceptional performance and maximum transfer speeds for creating and editing, but it also creates a more efficient work environment." "As consumer preference for a mobile and versatile workspace increases, Thunderbolt 2 continues to deliver unparalleled performance, flexibility and simplicity to personal computing," said Jason Ziller, Intel's director of Thunderbolt marketing. 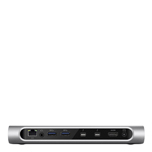 "Products like Belkin's Thunderbolt 2 Express Dock HD help highlight what Thunderbolt 2 makes possible." 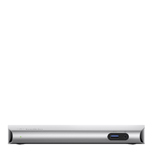 Requires computers with a Thunderbolt or Thunderbolt 2 port as well as Mac OS® X v10.9 or later, or Windows® 7 or 8. For Ethernet support on Mac OS X v10.8.x, v10.9.2, and v10.9.4 also go to www.belkin.com/thunderbolt to download drivers. 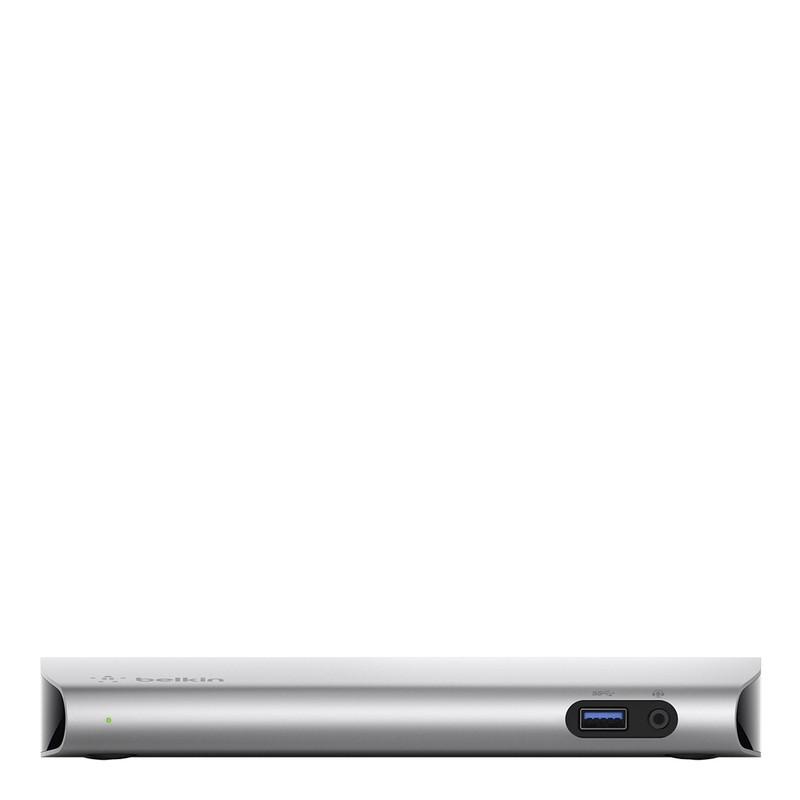 Belkin’s Thunderbolt Express Dock (F4U085bt) is available for now at belkin.com and is planned to be available at select stores nationwide in October for an MSRP of $299.99 and includes a Thunderbolt cable.